For the second in our series of XDA Pro Tips, XDA Elite Recognized Developer AdamOutler shows the basics of turning your device into a file server with secure shell (SSH) and secure file transfer protocol (SFTP). He demonstrates the Google Play application QuickSSHD and offers the free alternative of market application SSHDroid. AdamOutler then goes on to show how to connect to a desktop, the programs used and how to set it up on Linux or Mac while offering Windows users some options as well. For more information on accessing your Android device using SSH see this article. 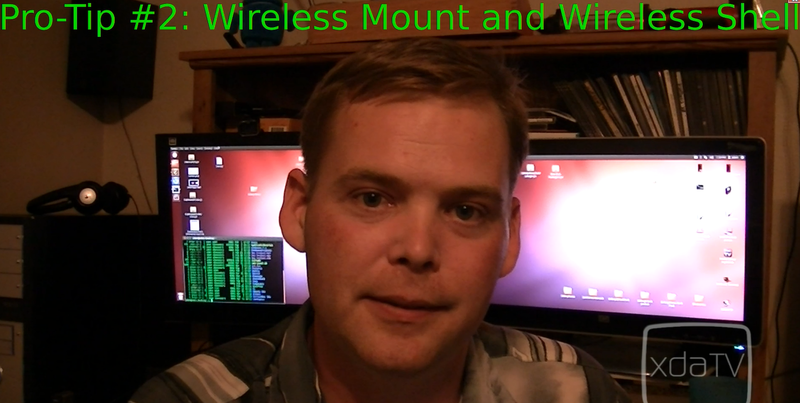 Be sure to check out the first Pro Tip and other wonderful and informative episodes on XDA TV. Stay tuned for even more Pro Tips!